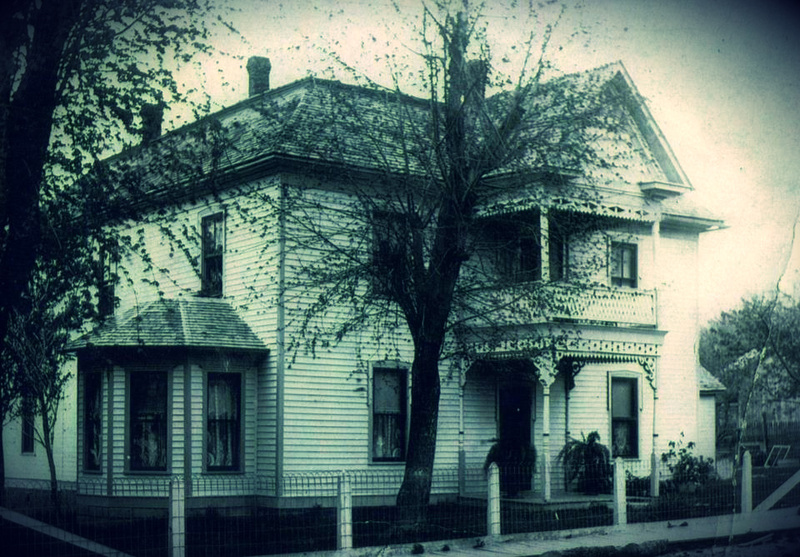 Paranormal Investigations of the Talbot House – Do you believe?! 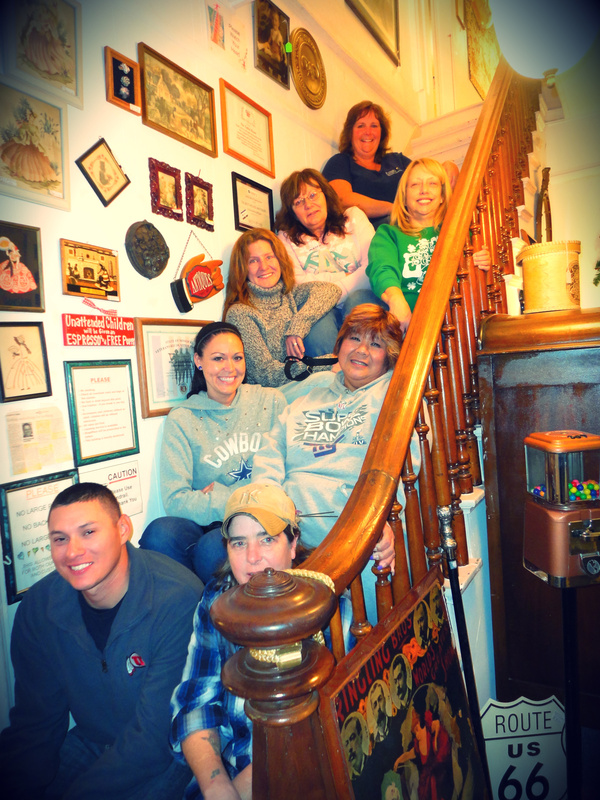 Have you always wanted to be a part of a Paranormal Investigation? Well the Crocker Optimistic Paranormal Society (COPS) is now giving people that chance! Working for the Tourism Bureau, we always come across fun and interesting things that we feel we need to take part in to better explain them to our visitors. Well, this was no different. Saturday night all five of us Tourism Gals, my husband and two other ladies set out to see what this paranormal thing was all about and we may have come out of it more confused than ever! COPS and the Historic Talbot House owner, Keith Osborne, have teamed up to offer these paranormal investigations to the public after closing. The Talbot House is located in Downtown Waynesville and has quite the past to go with it, making it the perfect place to investigate. The following is a little bit of history taken from the Paranormal Investigations of the Historic Talbot House Facebook Page. Make sure you Like them! “The Talbot House land dates back to 1842. Under the April 24, 1820 Act of Congress, President John Tyler granted 160 acres of land in Pulaski County to Mr. Edwin Swink. The present house was built in August 1885 by Reverend Albert Washington Davis. After the Reverend Davis’s death in 1888, his widow turned the house into a hotel, which later became known as The Pulaski House. In March of 1920 Dr C.A. Talbot, M.D., and his wife Emma Pearl (Maude), purchased the house. Dr. Talbot practiced medicine in the house for over 30 years. After Dr. Talbot’s death in 1945 his widow Emma Pearl rented out rooms to borders. Mrs. Bonnie Dubowski purchased the house from Mrs. Talbot in 1969. Bonnie lived there until her death in 1994. Upon Bonnie’s death the house was sold and sat empty, slowly deteriorating. The actual house itself is pretty amazing, but what makes this house so interesting is all of the unique things that Mr. Osborne has collected over the years! You can just feel the history and the stories seeping out of it. When you first arrive to the Talbot House, Mr. Osborne takes you on a historical tour of the house. He shows you every room and points out different treasures for which he has stories about all. Even if you aren’t interested in the paranormal investigation, just stop by the Talbot House some day and let Mr. Osborne show you around. You won’t be disappointed! After the historical tour COPS divvied out K2 meters, we grabbed our flashlights and cameras and went upstairs to begin our investigation. The first two rooms, nothing happened at all. I was more preoccupied about getting pictures and information that I kind of forgot to investigate! In the third room one of the COPS members, Derrek, said he smelled fire to which our history buff Laura pointed out that one of the original owners of the house actually died from burns received while fighting a fire on the south side of the square. Weird? What’s weird is that Derrek had no knowledge of the fire before he smelled it, so maybe just a random coincidence? Maybe! In this same room we decided to try a technique with dowsing rods in which case you hold them very still in your hands, ask questions and if the rods cross, some people consider that an answer. Well nothing happened. So on to our fourth room, lone behold those rods were going crazy! Poor Rebecca had volunteered to hold them, but with all of the activity we were seeing no one else wanted to take a chance. She must have stood there for a good thirty minutes with her arms out. It was just unbelievable to see the reaction these rods had to some of the questions. After the excitement with the rods we took a little break and then continued with our investigation downstairs. At this point I decided to get in on the investigation and stop with the photography. Several of us had been given K2 meters in the beginning of the investigation in which case I got the less sensitive one of all of them. Since not a single meter went off the entire first half of the investigation I really didn’t think much was going to happen with mine. But as soon as I turned that sucker on, something happened in every room and, most of the time, continuously. I checked my cell phone, I checked outlets, other people held their meters up to mine to try and figure out what was causing it, but mine was the only one having any reaction and for no reason that we could figure out. We began asking questions, to whatever was making my meter light up, to interact with the K2. We got some very interesting answers and some scary when Mitzi asked it if it wanted to follow me home and the meter lit up! Just so you know, I am not possessed and nothing followed me home! Cassie (Me) – I’ve always believed in spirits, not necessarily scary hauntings, but just something else out there. This investigation just confirmed my feelings on the possibility that we aren’t alone in this world. I mean, is it really a coincidence to ask a question and have it answered 90% of the time? While nothing scary happened on our investigation, the fact that it was pretty obvious something was communicating with us has definitely reaffirmed my thoughts on this topic! But that’s just me! 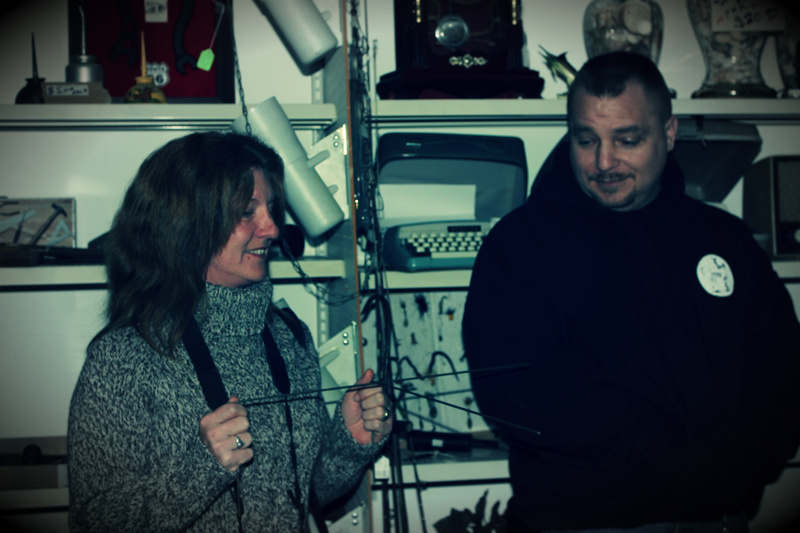 Karen – I’m not really “into” this kinda stuff, but I do find it interesting and I do catch Ghost Hunters on SYFY, so that’s where I get most of my info. I do believe there are spirits that exist out there but don’t think I really need to get to know them. 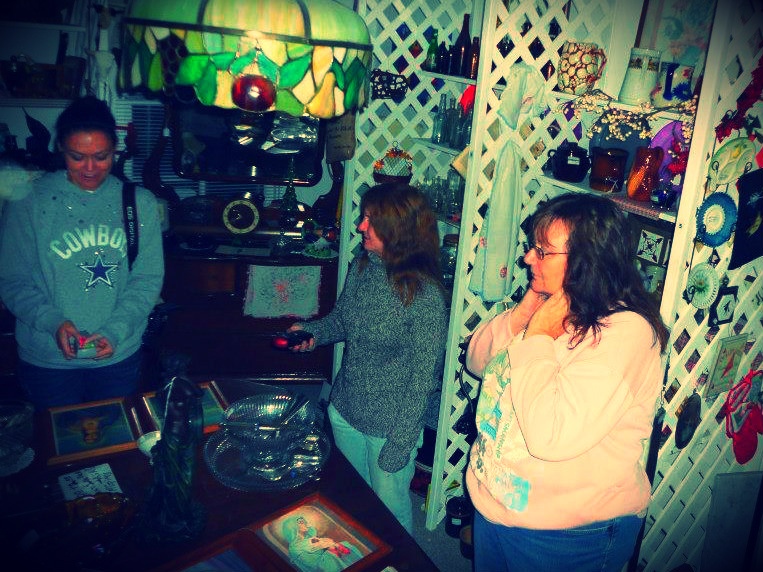 The Investigation of Talbot House was awesome. There are very informed people running the show and nothing felt fake. Some strange things happened that night that I cannot explain, so I continue to believe. Now, if that lamp would’ve turned on (as they said it has done at another investigation) with the power to the house turned off, my story would be very different! Beth – Throughout my life I have visited with people from all walks of life that have experienced afterlife phenomenon’s so I went on this investigation with an open mind but I tend to be pessimistic and question activity that I experience, looking for reasons to discount what occurs. I went into the investigation thinking every little thing our group would experience would be “a sign” or communication but the COPS team actively watches for reasons for sounds or movements. The investigation is not sensationalized at all. Not a believer? You just might be after a night with COPS at the Talbot House! Mitzi – If I was skeptical before we began our investigation, I will now tell you, I am not skeptical now. When we were in one of the rooms, I felt a cold breeze pass over me as I sat on the floor. The door to the room was closed and no windows were open. I am now open to the fact that spirits do communicate with us. Laura – I went into the experience expecting the experiment with the dowsing rods to be successful, but was still a little surprised when it did. That night solidified my belief that there are things that we do not understand about the world we live in and that everyone, leaves their mark on this earth, even if it is as simple energy. To schedule your Paranormal Investigation of the Talbot House, call COPS at 573-528-2149 or email crockerparanormal@yahoo.com and make sure you check out their YouTube Channel to see all the different locations they have investigated as well as the things they have found! COPS will be doing investigations every Saturday through October and Halloween night! Cost is $25 per person, maximum of eight people and minimum age limit is 18 years old. Paranormal Teams are also welcomed to conduct private investigations. Please call for more information and we hope you enjoy your next paranormal experience! Come back tomorrow for more and don’t forget to have a Great Day in Pulaski County USA!